Starring: Chris Pratt (Her), Lee Pace (The Hobbit: An Unexpected Journey), Zoe Saldana (Star Trek), Bradley Cooper (Limitless), Karen Gillan (Oculus) and more. Directed by: James Gunn (Super). Rating: PG-13 for action based violence, language and suggestive material. Every so often there releases a film that alters the scope of its genre and ushers in a new era of expectation and thus resets the bar for the films that follow to reach. 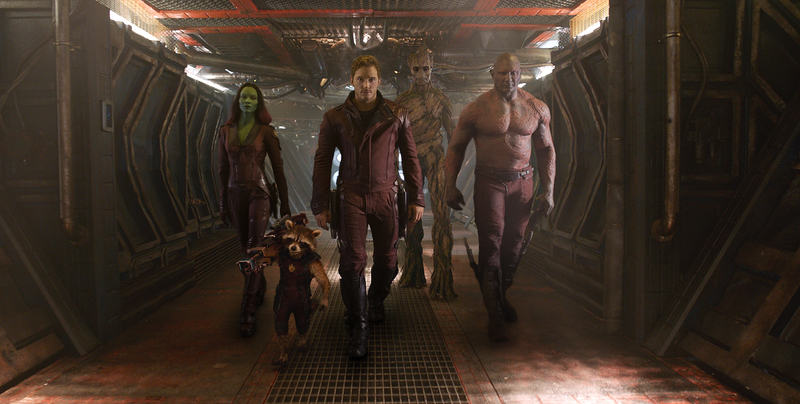 When it comes to the superhero movie genre…Guardians of the Galaxy is one such film. Marvel once again did what it did with Iron Man back in 2008 and took a not so well-known hero team and made them A-listers. While Iron Man was a character better known than this team of alien avengers, Marvel blended comraderie, comedy and concern together in their characters and took the Guardians of the Galaxy from head-scratching curiosities to fist-pump-inducing fan favorites! Good (perhaps ordinary) character experiences tragedy (of varying degrees), spends time developing self and discovering powers/responsibilities, and then after a few esteem-boosting encounters with evil (perhaps reluctantly) the super-character comes across an evil that surprises and threatens said character(s) and those around. Perhaps the character(s) will suffer defeat only to then rise up from the ashes after getting help from a few minor characters or the damsel in distress and then saves the world and defeats evil and…the all live happily ever after. 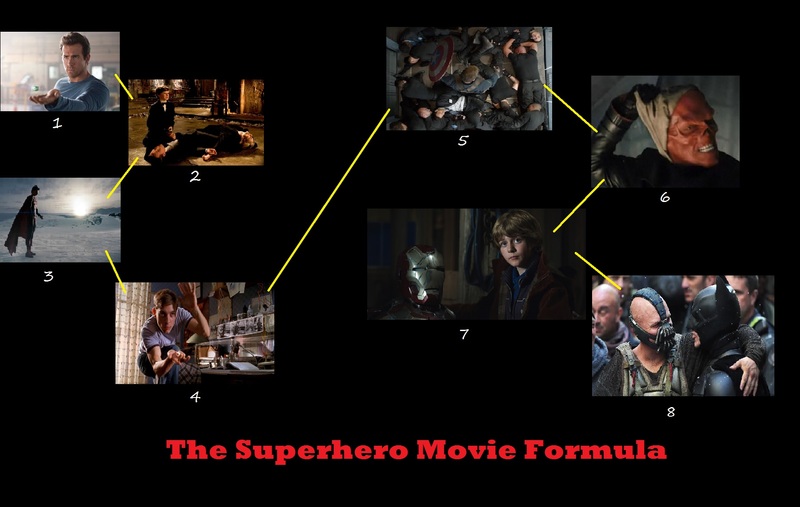 Is this not the general summation of almost every superhero film? Oh, I forgot the Stan Lee cameo (sorry). However redundant the formula is, the same accusational finger could be pointed at romantic comedies, love stories, war movies, horror flicks, etc. So, for sake of argument, let’s say that “it is not the destination, but the journey that counts.” And the journey of these five Guardians of the Galaxy is a wild ride through space. From the pages of not-so read comics to the big screen, Marvel’s tale continues the story of the its cinematic universe and brings characters that are surprisingly a lot more relatable than expected. Pratt’s Peter Quill (a.ka. 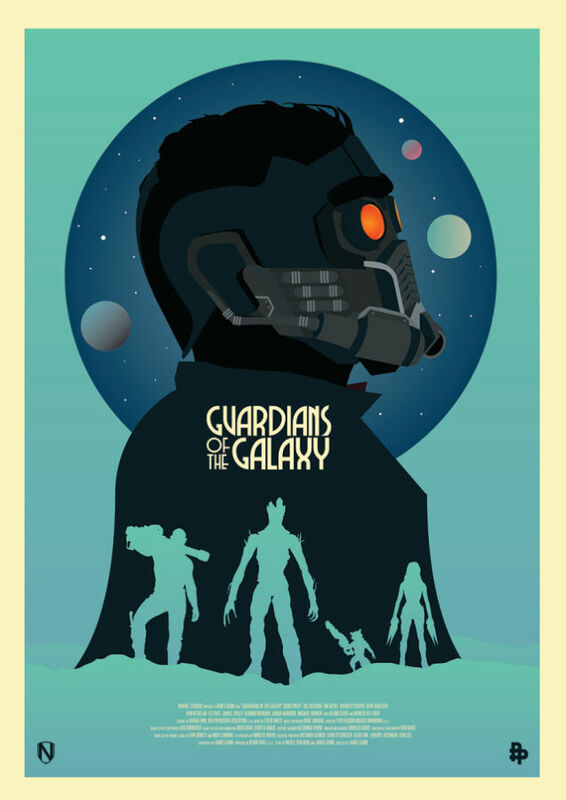 Star-Lord) and his mannerisms/way of being generally grounded in his humanity brings out the same in the rest of the heroes and thus we have a superhero film full of superheroes who do not possess any real superpowers to speak of. And we forget really about that as we root for them based more on their will and characters more so than their wielded powers. I found this element of this film to be most intriguing and new. Listen up! 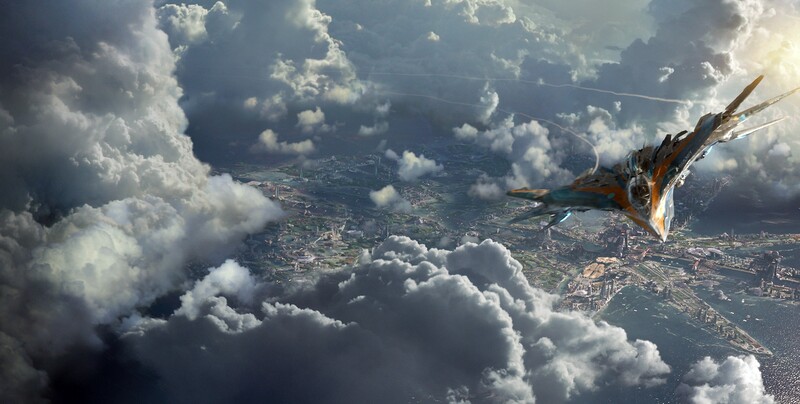 Here’s some more reasons to love Guardians of the Galaxy! Each of the actors (including voice actors) bring their characters to life and make each of them stand out and yet still blend to give the movie itself its own life and character. 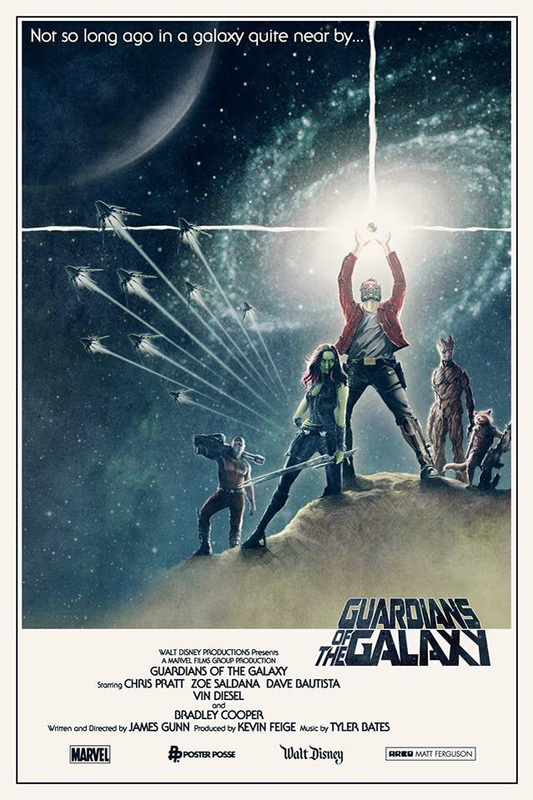 Pratt as Star-Lord, Saldana in a role I can finally really enjoy as Gamora, Dave Bautista as Drax the Destroyer, Bradley Cooper as the greatest raccoon that ever lived, Rocket and even Vin Diesel as Groot whose single line vocabulary makes for some of the funnest and most memorable conversations in the film…all of them are fantastic. Lee Pace plays the main villain impeccably and all of the rest of the characters are truly more than just added garnish on this delectable plate of goodies that Marvel serves. Gunn definitely pulled some surprises in the film as to its grit, its violence, (Is this the Marvel film you may want your kids to skip? Perhaps…see HERE.) its story arcs and its cinematography/special effects (the worlds created are amazingly displayed) and the risks definitely reap rewards. I left the theater a fan of the Guardians after going in not knowing a thing really about them…and I wanted to know more. Glad to see Gunn is up to direct the coming sequel. With plenty of great action, great music (it’s a blast from the past all the way through), fantastic dialogue and hilarious quips that, if you’re not paying attention, you may miss, surprising great look, a great way in which both aliens and humans are blended into one film (much like in Star Trek and Star Wars) and accepted as a plausible reality, a great story that ties in with what Marvel has given us so far since Iron Man and a great tie into the humanity of the characters as a whole, plus with the added bonus of 1…2…3…maybe 5 great villain types, there is just too much in the exciting Guardians of the Galaxy to not enjoy! Ahhh ahhha ahhhhaaaaa…..I’m hooked on a feeling! 😉 and that feeling is that Guardians of the Galaxy is GREAT! See it. Believe the Hype! Marvel has once again raised the bar of superhero films and set even more exciting expectations for the future! 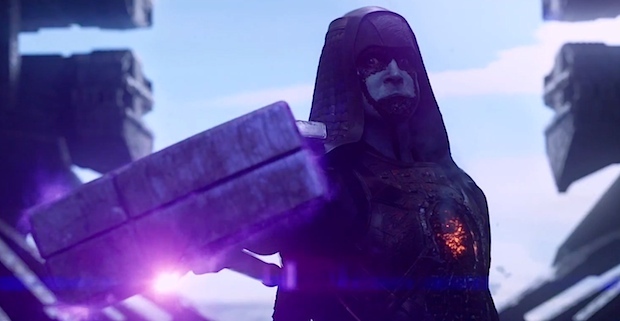 It also has the strangest and most unexpected post-credits scene I think of all Marvel films. Just throwing that out there. I really cannot wait to see it. I think it’s so impressive the risk they took here – relatively unknown actors and heroes and such a big movie. It seems it paid off and that’s lovely, I like Pratt I hope he’ll have a bright and long career. Thanks for reading my review. I can’t wait for you to watch it either. Marvel did an excellent job and it looks fantastic too. I hope you don’t bite my head off like another blogger did for not IN LOVE with this movie as you T. I like it well enough but I hardly think it’s flawless. Still it’s a pleasant surprise and I’m glad I saw it on the big screen. Chris Pratt is a hoot, he seems like a nice guy too so glad to see his star on the rise now. Well if you read my review, I said that I actually like the fact that Marvel is actually making fun of the superhero genre w/ this one. I just don’t think this movie is as edgy or fresh as some people say, I mean the plot is nothing new and the villains are so lame, but to each their own. I only wish people are more open minded in regards to someone’s OPINION and not get so defensive when they disagree w/ something. I know you’re usually very good about this sort of thing, and I’m glad you enjoyed this more than I did, T!